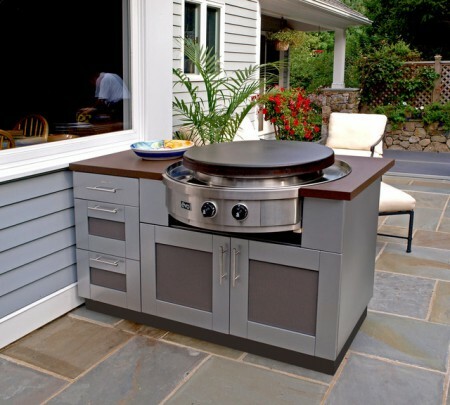 Using a designer with expertise in Kitchen design for your outdoor BBQ makes sense. 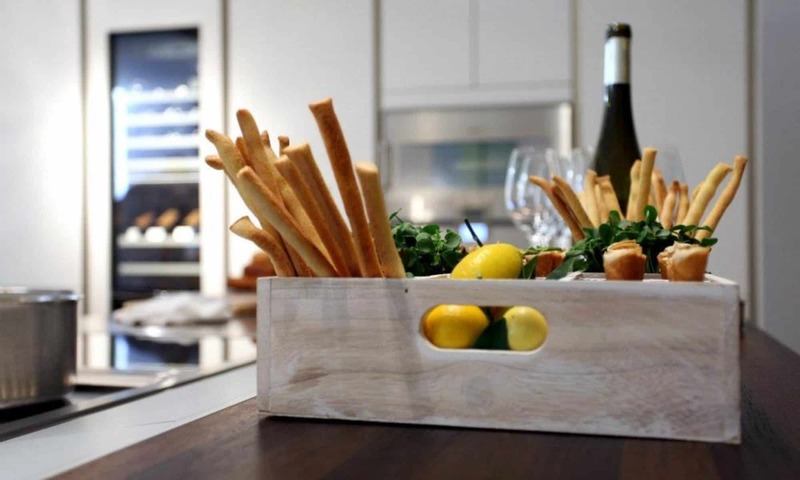 We’ve master the ability to understand how a kitchen should flow and how it should be planned so the chef is not isolated and can socialize with guests. If you plan to break your project into phases using a designer will ensure the overall look is cohesive from the beginning phase through the final completion. The plans produced will take away the guess-work for the trades hired on down the road. Most outdoor kitchens are built upon an existing patio, however some are built from the ground up. 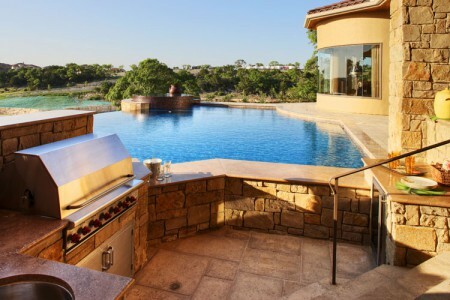 An experienced Kitchen Designer can bring in professional allied partners such as general contractors and landscape architects to ensure the new outdoor kitchen blends into the surrounding environment. 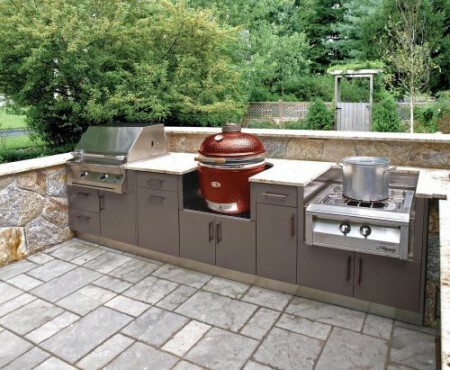 Kitchen Designers take the time to listen to your needs and can discuss the various appliances you might want to incorporate into your outdoor kitchen. 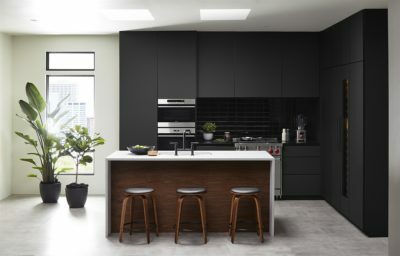 Whether it’s deciding between gas, charcoal or pellet grills or if more than one refrigerator is needed; they take all your needs into consideration. For example, did you know that most consumers who order a side burner actually almost never use it? 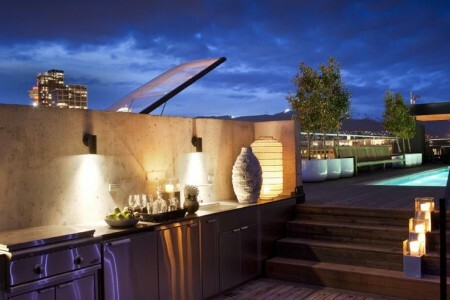 Instead, consider a teppanyaki style grill. These flat cooking surfaces are ideal for areas like Florida where fresh fish is popular. Some manufacturer’s grills can reach surface temperatures up to 675ºF edge to edge. Kitchen Designers use some materials exclusive to outdoor living while others are the same as materials incorporated into interior kitchens. 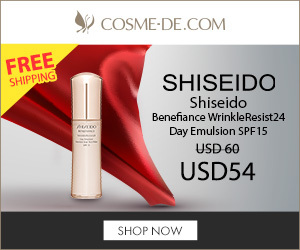 Many products; however, do not do as well outside exposed to the elements. Here in Florida I have to be careful about UV degradation. In colder climates, designers must be mindful of thermal shock. If you ask a manufacturer if their engineered stone can be used outdoors they will most likely answer no. 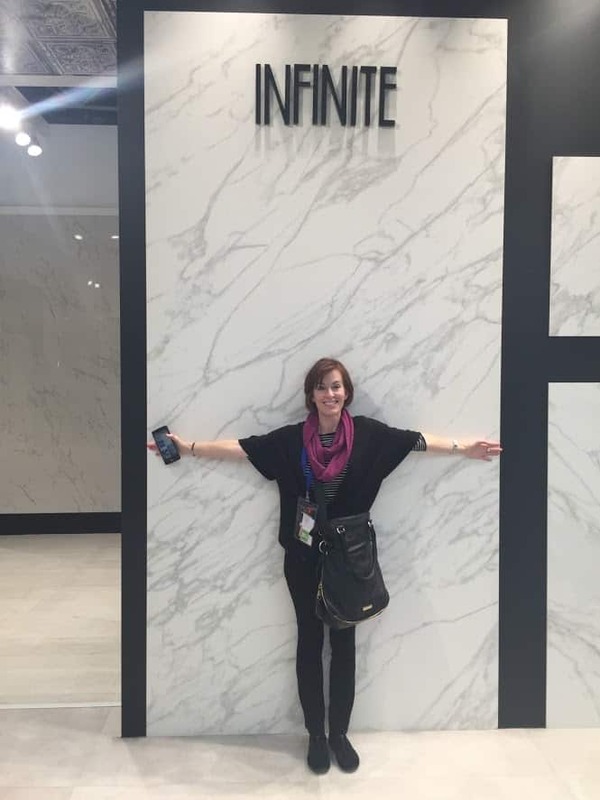 Do not assume all granite will be a safe selection. I ask if the stone is resined. If it is, requesting a non-resined granite is the best choice. Keep in mind that non-resined natural stone will also fade naturally but it generally takes years for fading to occur. 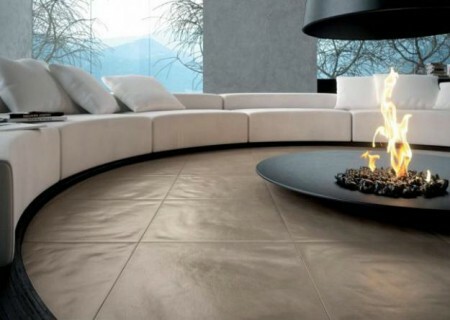 Other important items to consider are storage accessories; such as propane roll-outs and waste receptacles, seating, decorative elements; such as area rugs, water features, potted plants, televisions, fire pits and lighting. 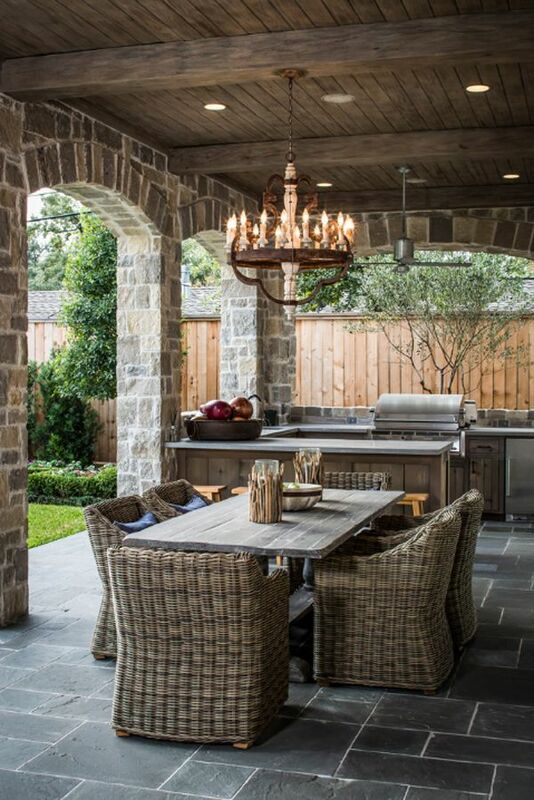 Your outdoor kitchen will be the star of your home with proper lighting and cozy accessories. According to an American Institute of Architects (AIA) Home Design Trends Survey, interest in outdoor living space has actually increased steadily over recent years, even while homes are getting smaller. The return on investment is higher than most other remodeling projects. Feeling inspired and ready to start? Give me a call. The teppanyaki style grill is a great suggestion. You can do a lot more with it than with the side burner. I love the images used in this post. Makes me want to throw a BBQ!